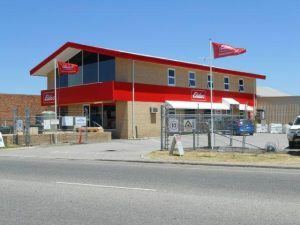 Elders Midland branch services a large area from Lancelin and Bindoon in the north to Coolup in the south while also looking after clients in the Darling scarp to the east. This diverse agriculture area has many soil types and rainfall variations so agriculture pursuits range from dairy/beef farmers in the south to horticulture/viticulture east/central while north of Perth see’s fruit, grain, olives, beef, sheep and fodder produced. Muchea livestock selling complex is close by and sales are weekly. Elders Midland has a full range of product and service specialists in livestock, farm supplies, real estate, insurance, financial services, wool, agronomy, fertiliser, banking, fixed deposits and experienced auctioneers. To find out how we can help you with your agribusiness needs, you can call the branch or email us using the below contact form. CSBP and Elders today announced an agreement for Elders to distribute fertiliser as a CSBP agent.